As concerned citizens around the world, we urge you to protect the Great Barrier Reef by saying no to hugely damaging dredging and dumping. 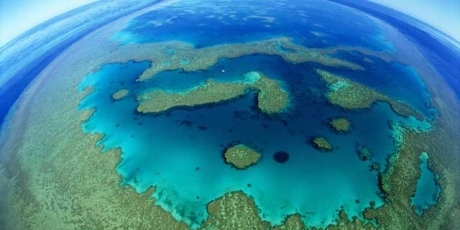 The Abbot Point port extension and other similar projects would endanger this World Heritage Site and its magnificent marine life and we call on you to oppose such projects. It would be hard to make this stuff up. Australia’s legendarily irresponsible mining industry has a new plan: while the planet faces catastrophic climate change, build the world’s largest coal mining complex, and then build a shipping lane to that port straight through the greatest ecological treasure we have - the Great Barrier Reef! This is a terrible idea with devastating consequences, and the investor group Aurizon that’s backing it know it. They’re getting cold feet, and we might be able to push them over the edge, and kill the project. One of the main potential funders has even donated to climate activism! If one million of us express our head-shaking disbelief at this crazy project in the next few days, we can help get Aurizon to pull funding and maybe even persuade the Australian PM to step in. This is what Avaaz is for, let’s raise a voice for common sense!